Suntory Holdings Ltd. is one of the major Japanese companies that manufactures and sells beverages globally. Since its establishment in 1899, it has contributed to the popularization of Western-style liquors such as wine, whisky and beer in Japan, growing into a global enterprise with 312 group companies worldwide, 85 of which are in Japan. In addition to beverage productions, the company values giving back to society. 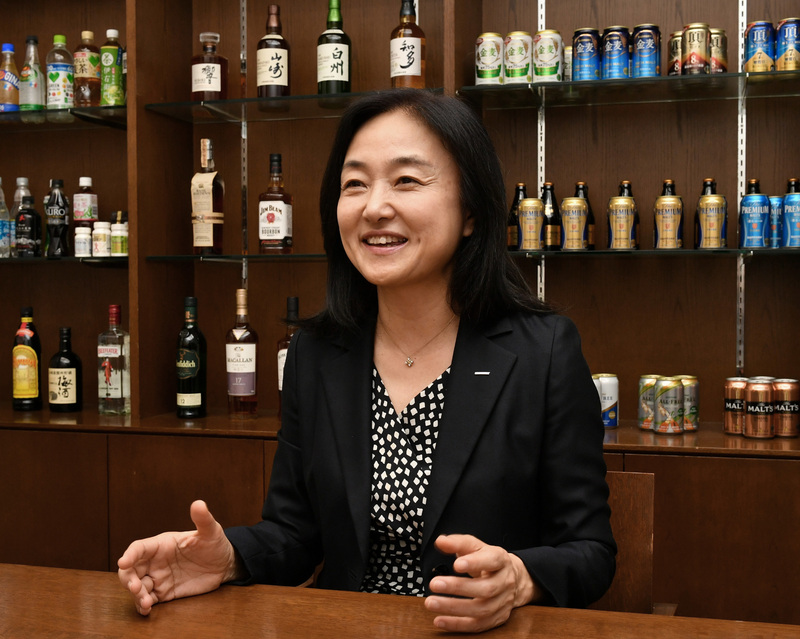 “Since its founding, Suntory had contributed to society by investing into where people’s needs are depending on the times, ranging from welfare to the arts,” Executive Officer Tomomi Fukumoto said. After Japan entered an era of low growth in the 1990s, the sales of food and nonalcoholic beverages started to rapidly increase following the beginning of the new century. “They have finally exceeded sales of liquors, which means that we now have many customers under the legal drinking age,” she said. When the company thought about what it could give back to the younger generation, the answer was a rich natural environment. As part of its efforts to preserve nature, the Natural Water Sanctuary Project was launched in 2003, and the Mizuiku-Education Program for Nature and Water began in 2004. In 2005, Suntory adopted “Mizu To Ikiru,” literally “living with water,” as its slogan, taking it on as a promise to society this year. “Looking back on our history as a producer of beverages, water has always been the essence of our business as a precious material,” Fukumoto said. As of March, there are 20 Suntory Natural Water Sanctuaries across 14 prefectures in Japan. The total space is as large as approximately 9,000 hectares. 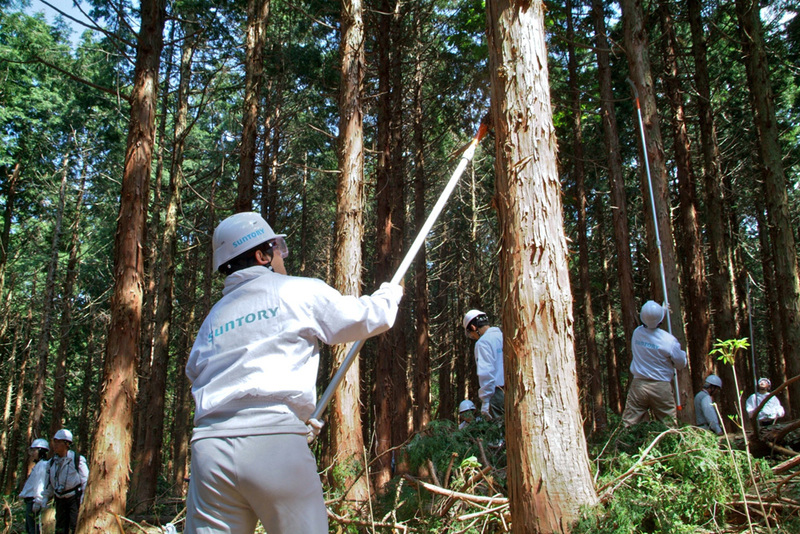 The terms of forest development contracts signed with the forest owners span longer than a few decades, which makes it possible for Suntory to manage each forest based on thorough research on its characteristics from a long-term perspective. “We set a new target in 2014 to cultivate double the amount of groundwater that is pumped from all of our factories in Japan by 2020,” Fukumoto said. 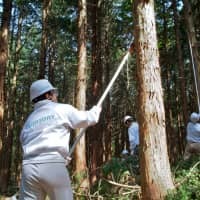 Suntory encourages its employees and their family members to join the conservation activities in the forests as volunteers. “Some 7,000 people have participated as of 2017. Such experiences help nurture employees’ pride in their work, raise productivity and strengthen teamwork,” she said. 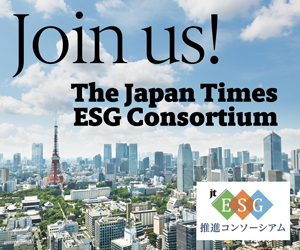 A number of global environmental projects led by the group companies of Suntory are also taking place. Beam Suntory Inc. takes the initiative in the Maker’s Mark Natural Water Sanctuary project to preserve the land and the lake, the water sources for the Maker’s Mark American distillery in Kentucky. The project is conducted based on science through joint research with the University of Kentucky. The Mizuiku-Education Program for Nature and Water is designed to teach school children the importance of nature and forests that nurture groundwater through two main activities. One is called the Outdoor School of Forest and Water, a series of outdoor activities held in the forests maintained by Suntory. As of 2017, around 23,100 students and their parents participated in the program since it began in 2004. The other is a classroom activity provided by Suntory personnel and schoolteachers. Roughly 121,800 students at about 1,600 schools have learned about the water cycle and nature’s contribution to it through classes, videos and experiments as of 2017. Since 2015, the program has also reached students beyond Japan in Vietnam, where it has been introduced in various cities and provinces. Approximately 14,500 students have learned the importance of environmental conservation and sanitary management as of last year. 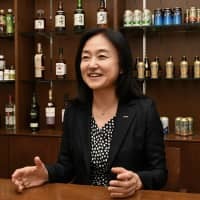 What is unique about Suntory’s overseas projects is that they are not merely exact copies of what has been carried out in Japan. “Our environmental efforts are always tailored to each area depending on its characteristics, issues and so forth,” Fukumoto said. Suntory has also been contributing to Kumamoto Prefecture’s recovery from the damages caused by the 2016 earthquakes through its Kumamoto Groundwater Mirai Project in collaboration with the Kumamoto Groundwater Foundation. The first steps of the project involve working to recover winter rice paddies that swelled and cracked due to the earthquakes. The method of filling rice fields with water in the winter is done to efficiently cultivate groundwater and support biodiversity.